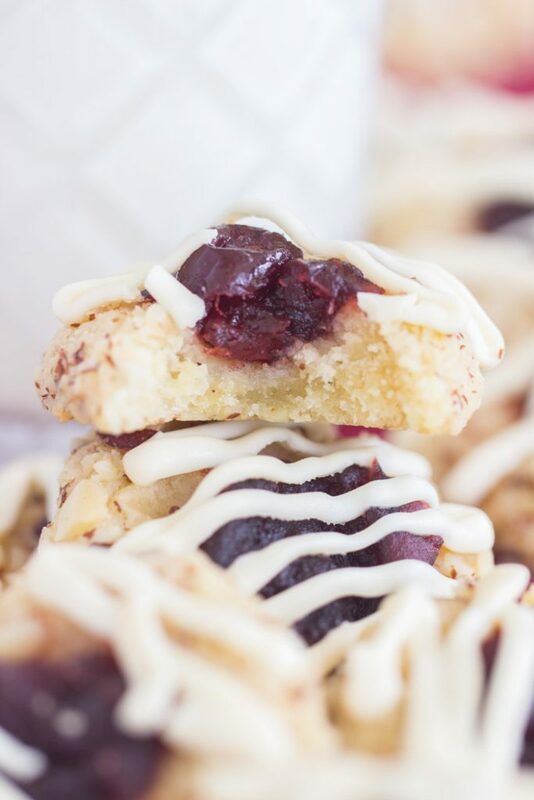 White Chocolate Cranberry Almond Thumbprint Cookies are soft & buttery, vanilla & almond-infused thumbprint cookies rolled in slivered almonds, filled with cranberry sauce, and drizzled with melted white chocolate! These White Chocolate Cranberry Almond Thumbprint Cookies are irresistible! I love thumbprint cookies! I love the possibilities when you find a reliable thumbprint cookie recipe. I have a vanilla thumbprint dough that I love (from Better Homes & Gardens) and a chocolate thumbprint dough that I love (also from BH&G), and once you’re happy with those staple dough starters, you’re good-to-go on lots of adaptations. 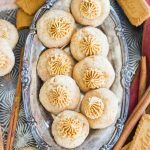 You can roll them in almost whatever you want – sprinkles, coconut, any kind of nut… and you can fill them with whatever you want – ganache, jam or jelly, caramel, buttercream frosting, peanut butter… almost anything. And then you can leave them alone, or drizzle them with something.. so many options and combinations. 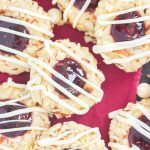 These White Chocolate Cranberry Almond Thumbprint Cookies are a lovely addition to your Christmas cookie trays. I love the cranberry sauce middles. 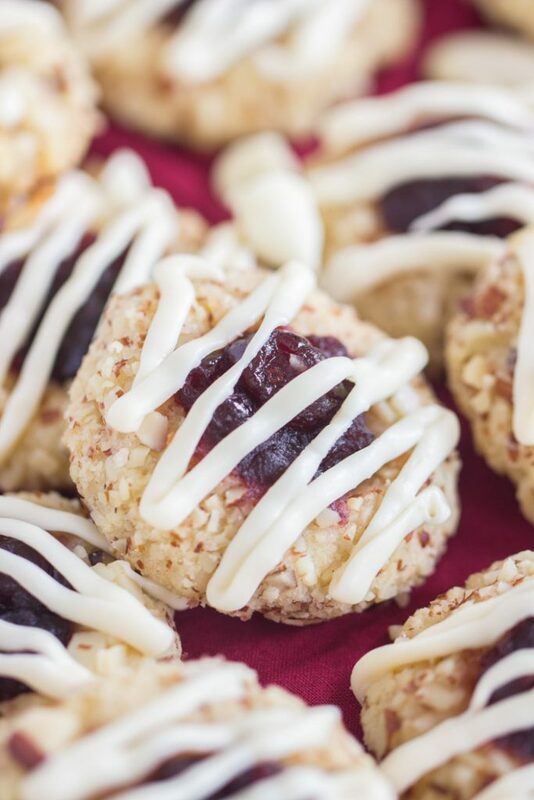 You don’t need any odd ingredients to make these White Chocolate Cranberry Almond Thumbprint Cookies – the ingredients are all common and easy to find. The cranberry centers are just part of a can of whole berry cranberry sauce. That’s it! 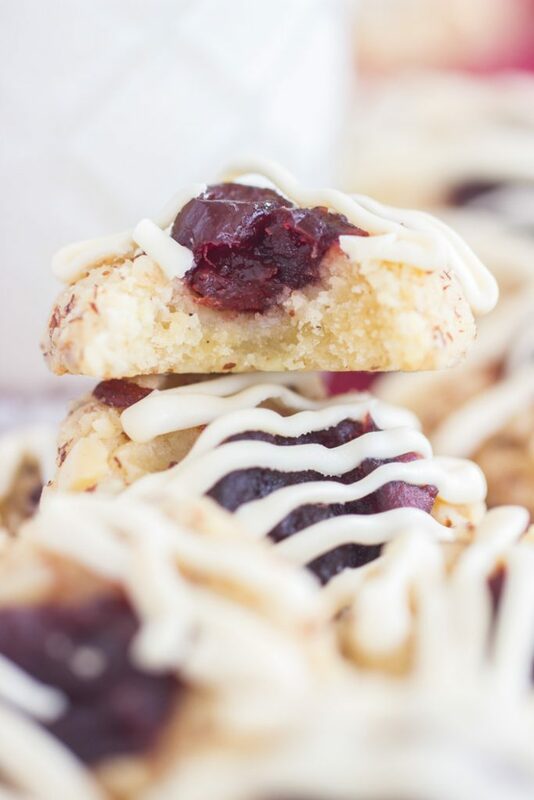 The base cookie in these White Chocolate Cranberry Almond Thumbprint Cookies are similar to shortbread, very buttery, but you’ll find these to be a bit softer and less crunchy than shortbread. Thumbprint cookies need a sturdy base so that they can hold up to however you fill them! These are soft, but sturdy, and they can handle a generous amount of cranberry sauce in the center. 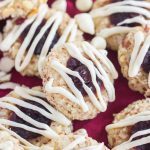 Similar to how white chocolate, raspberry, and almond flavors work so incredibly together, these White Chocolate Cranberry Almond Thumbprint Cookies are delectable with cranberry as a swap for raspberry. You’ll love the trio of flavors here. Thumbprints aren’t the fastest cookies in the world since you have to roll them into balls, dust them in something, press the middles, fill them, and if you want, drizzle them, but they are one of the prettiest cookies you can make, and the extra steps are worth it. Holidays are a great time to go all out when it comes to cookies. 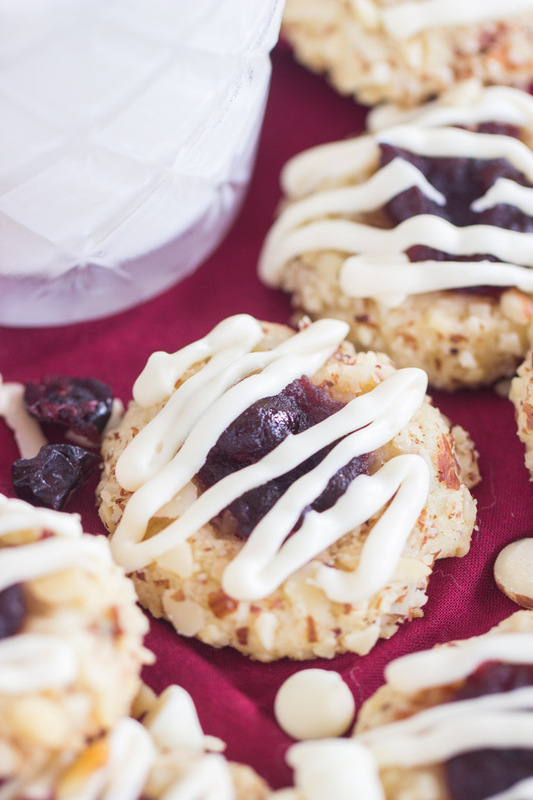 These White Chocolate Cranberry Almond Thumbprint Cookies are worth the extra effort and time. 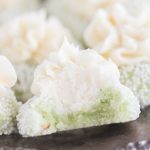 If you’d like to shop around for different thumbprint ideas, I’ve used the same vanilla thumbprint dough to make White Chocolate Raspberry Almond Thumbprint Cookies, Snickerdoodle Thumbprints with Cookie Butter Buttercream, and Coconut Macadamia Key Lime Thumbprints. 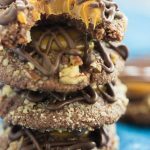 I’ve adapted the chocolate thumbprint dough to make these Turtle Thumbprint Cookies, Chocolate Hazelnut Thumbprints with Kahlua Ganache (highly-tested and highly-rated on Pinterest! ), Dark Chocolate Peppermint Patty Thumbprints, and Chocolate-Covered Strawberry Thumbprints. 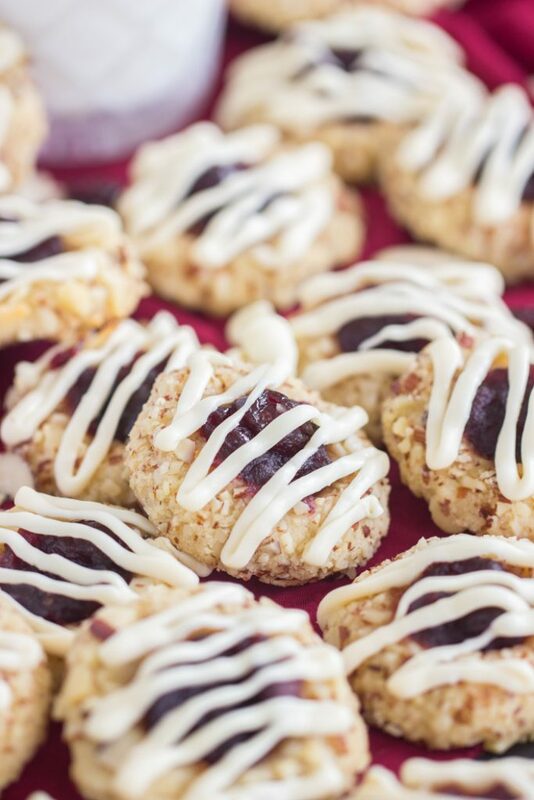 Then I have these rogue Peanut Butter & Jelly Thumbprints that are awesome and don’t start with either of those doughs, but since they’re a thumbprint cookie, I feel I must tell you about them. 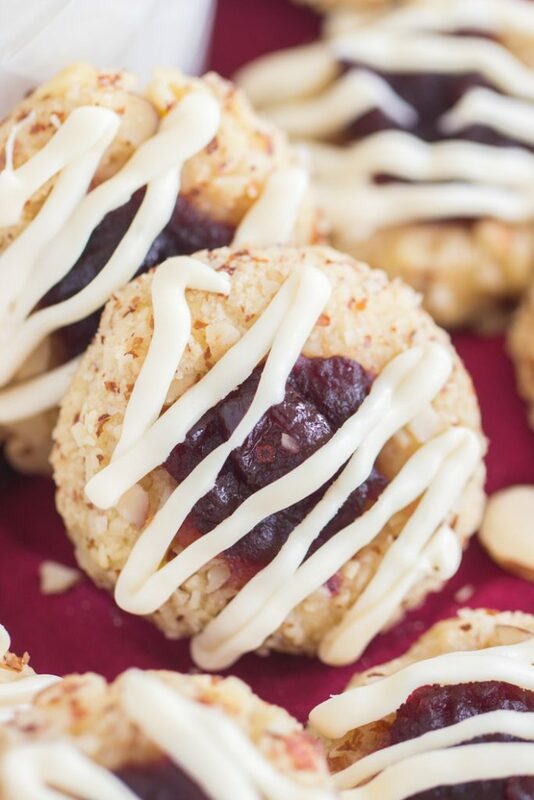 White Chocolate Cranberry Almond Thumbprint Cookies are soft & buttery, vanilla & almond-infused thumbprint cookies rolled in slivered almonds, filled with cranberry jelly, and drizzled with melted white chocolate! 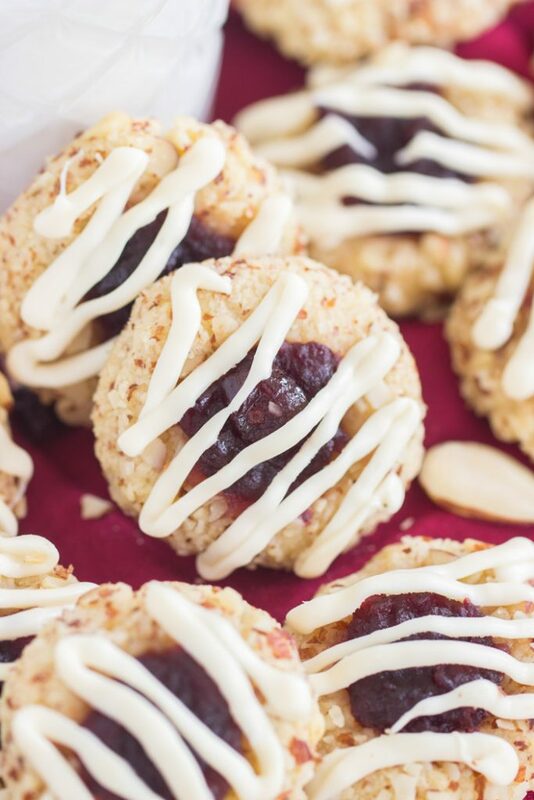 These White Chocolate Cranberry Almond Thumbprint Cookies are irresistible! Beat in egg yolks, vanilla, and almond extract. Roll each ball in chopped almonds to thoroughly coat. In a small microwave-safe bowl, heat the cranberry sauce for about 1 minute, or until thin and liquidy. 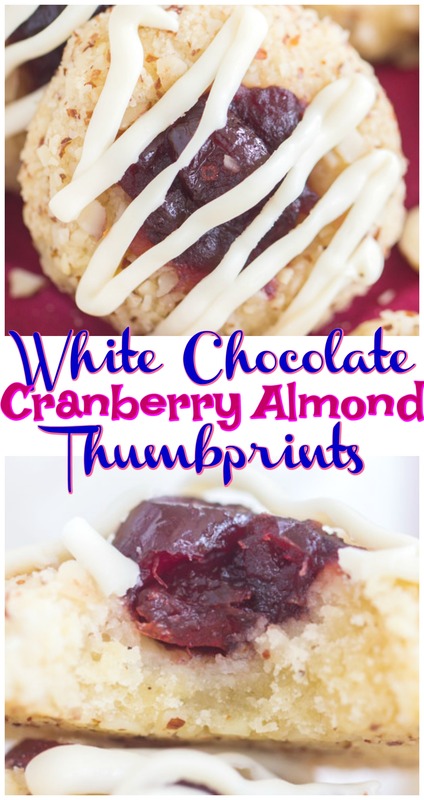 Spoon about a teaspoonful of cranberry sauce into the center of each thumbprint. In a small microwave-safe bowl, heat white chocolate on high for 30 seconds, stir, and continue heating for 15-second intervals until melted and smooth. 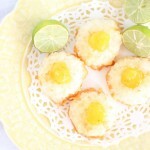 Drizzle cookies with white chocolate, and allow to set.